Two thirds of Americans are overweight with 40 percent of us being obese or extremely obese. It’s no wonder that so many of us search for weight loss magic bullets, desperate for anything that works and willing to try just about any supplement, fad diets, or trendy exercise program. I get it. I’ve been there (see Dr. Sarah’s Story). We all want the quick fix. This post isn’t about a list of magical nutrients that will turn you into a fat-burning machine though. 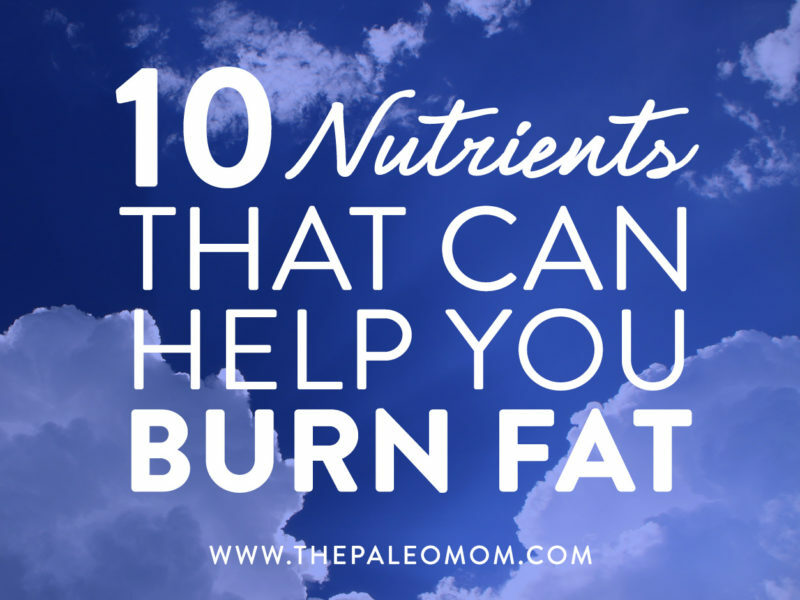 Instead, it’s a list of nutrients with important roles in fat burning that are important to understand because being deficient in any one of these could be holding your weight loss progress back. Think of this as a troubleshooting guide rather than a miracle obesity cure. So, what exactly do I mean by “burning fat”? 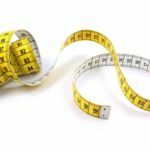 Successfully losing weight (and maintaining that weight loss!) 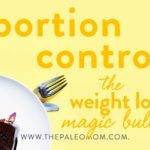 is a complex equation (see Tips and Tricks for Losing Weight and Portion Control: The Weight Loss Magic Bullet) and one that I’ll be tackling in depth in a series of upcoming articles. Every single person has energy stored in the form of fat in adipose tissue (fat cells) throughout our body and in the form of glycogen in our muscles and livers. When we lose weight, we want to lose weight in the form of fat (rather than just water loss from depleting glycogen stores, etc. – a common side effect of crash diets and low carb/ketogenic diets, see New Scientific Study: Calories Matter). From a biochemical perspective, the molecules of fat must be liberated from storage so that they can be converted to cellular energy, ATP, in the mitochondria. This process includes help from assorted micronutrients, which act as enzyme cofactors or antioxidants. In fact, micronutrient sufficiency (especially of the micronutrients below) is necessary to “burn” fat, regardless of how many calories we consume! 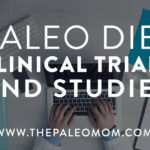 A collection of clinical trials have demonstrated that following the Paleo diet is helpful from a weight loss perspective (see Paleo Diet Clinical Trials and Studies). But, in addition to utilizing a real food, Paleo diet that emphasizes nutrient density overall (see The Importance of Nutrient Density), emphasizing the consumption of foods rich in certain vitamins, minerals, and other micronutrients may aid us in the process of burning fat. Vitamin A is one of the least obvious vitamins that promote fat burning, but it has one of the clearest mechanisms! Vitamin A is a fat-soluble vitamin known to play key roles in vision, neurological function, healthy skin, and antioxidant function. There are several forms, including retinal, retinoic acid, and the vitamin A precursors called carotenoids. One of the active forms of vitamin A is retinal. This molecule is most well-known for its role in vision, but it has also been implicated as a regulator for lipid metabolism. There are several ways that vitamin A can act as a fat-burner. An enzyme called retinaldehyde dehydrogenase 1 (RALDH1), which converts retinal to retinoic acid, is very dense in white adipose tissue. Downregulating this enzyme (turning it off) by taking in large doses of vitamin A makes it possible for white adipose tissue to start thermogenesis, a characteristic normally isolated to brown adipose tissue. Okay, let’s clarify this a little bit: there are different kinds of adipose tissue! White adipose tissue (WAT) is what we commonly think of when we think of fat cells; it is simply a cell type that acts to store fat. Then brown adipose tissue (BAT), which is extremely rich in the energy-production organelles called mitochondria, is another story. While some lipids are stored here, BAT cells undergo a biochemical phenomenon called thermogenesis. Thermogenesis occurs when mitochondria use fat molecules to produce heat rather than to produce energy. This process is useful for maintaining our basal body temperature. So, to restate the above: it looks like high doses of vitamin A (specifically, retinal) is one of the “biohacks” to potentially increase metabolism by making WAT act like BAT. Retinal also seems to be involved in regulation of how fats are stored and used in our bones, too: just another reason to focus on getting enough (and more) in our diet. 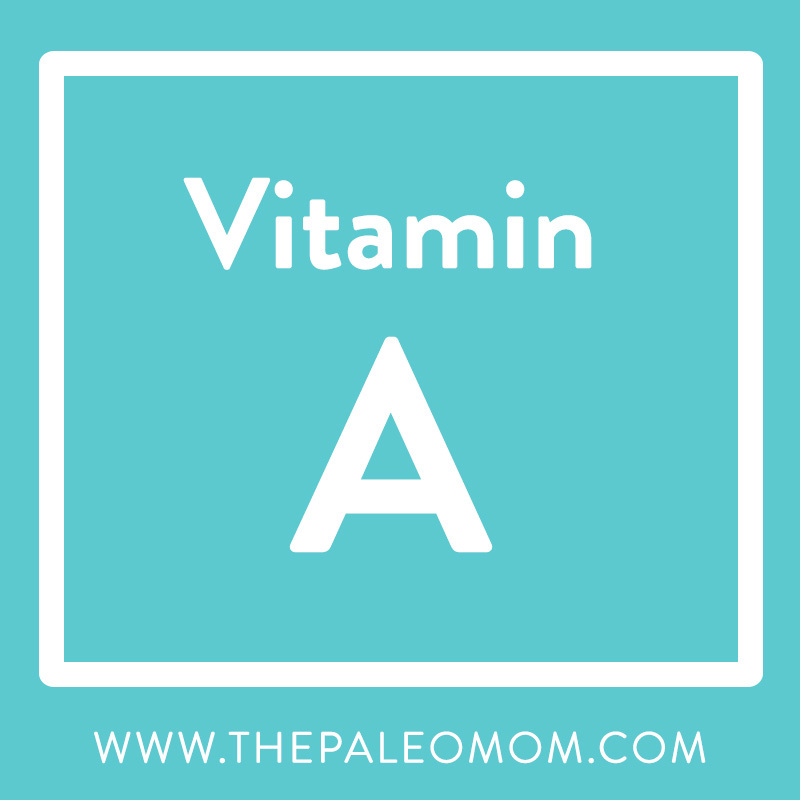 Okay, so vitamin A is clearly capable of some awesome biochemical magic! Where do we get it from? The richest source of vitamin A in the human diet is liver (see 3 Painless Ways to “Eat Your Liver” and Tips and Tricks for Eating more Offal). 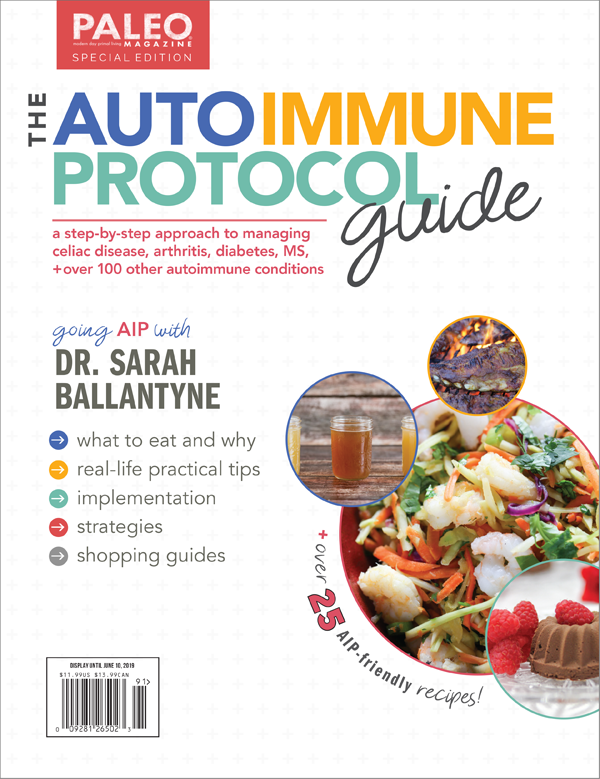 Bonus points: liver is rich not just in vitamin A precursors but also the active forms (i.e., retinal, the form specifically implicated for lipid metabolism!). There are also other sources of vitamin A in the Paleo diet, though the amount and form depends on the food (for example, liver is rich in multiple active forms, but vegetables like sweet potatoes are more likely to feature precursors rather than bioavailable forms). Vitamin B1 (thiamine) is one of the many B complex vitamins, all of which are involved in metabolism (and thus are totally helpful when we want to burn some fat!). Vitamin B1 is necessary for the normal metabolism of several molecules, including carbohydrates, lipids, and branch chain amino acids. Thus, this water-soluble vitamin is essential for the “end stage” process of using our previously stored fats – the lipids have already been liberated from fat cells and transported to the liver, where they’ve been converted to carbohydrate to be broken down for energy. Thiamine acts as an enzyme cofactor in two parts of cellular metabolism: glycolysis and the citric acid cycle. Plus, it is a cofactor for the endogenous production of simple carbohydrates (this process is used to maintain blood sugar levels overnight and in times when all carbohydrate stores have been used up in the liver). So, vitamin B1 is necessary for life (seriously! Our cells need energy to live) but particularly necessary for someone who is hoping to metabolize some stored fat. The best sources of vitamin B1 are organ meat, pork, seeds, squash, and freshwater fish (like trout, mackerel, salmon, and tuna). See The Importance of Fish in Our Diets and The Mercury Content of Seafood: Should we worry? Vitamin B3 (niacin) is another water soluble, B complex vitamin that is used in all cellular metabolism within mitochondria. 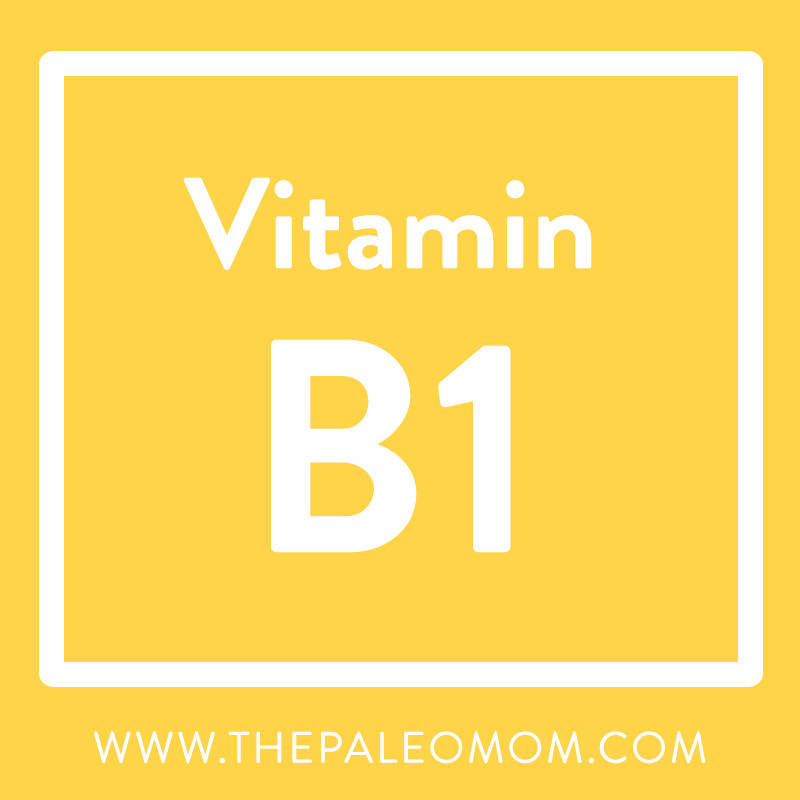 Much like B1, this vitamin is part of our primary metabolic system, meaning that we need it to produce energy from any macronutrient (fat, protein, or carbohydrate – it all ends with glycolysis!). Specifically, vitamin B3 is necessary for oxidation-reduction reactions, which involves the transfer of electrons (an essential part of converting glucose to cellular energy, ATP). Plus, B3 is used in the production of many molecules important for health, like cholesterol, and L-carnitine, which is important for lipid metabolism specifically (we’ll discuss this in more detail below). Niacin is found in dairy, poultry, fish, meat, eggs, and some plant sources (including vegetables, nuts and seeds). While deficiency in niacin is pretty rare, focusing on getting enough vitamin B3 definitely makes it easier for our bodies to metabolize fats. Vitamin B5 (panthothenic acid) is yet another B complex vitamin involved cellular metabolism, making it essential for life. The main reason that B5 is so necessary for life is that it is a precursor to coenzyme A (CoA), which is used by cells to make energy or to make steroid molecules (which are hormone purcursors) or to make ketone bodies (which can be used by the brain for energy if we run out of glucose). So, we need vitamin B5 to burn fat AND for all of the hormones that regulate our metabolism! Beyond that, pantothenic acid is used to make a fatty acid carrier molecule (which is necessary for the storage of fatty acids). 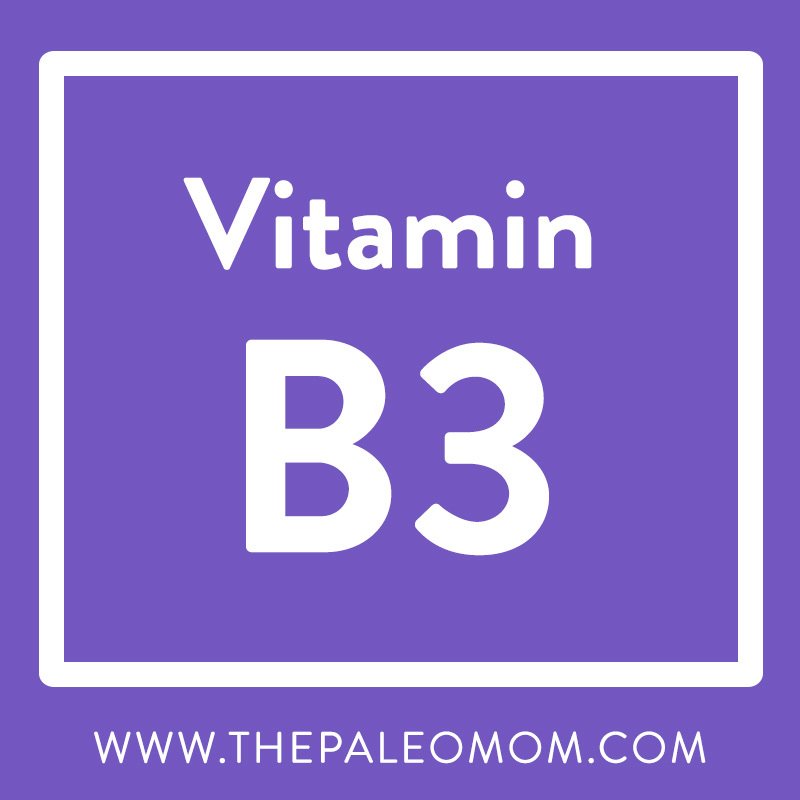 Like B3, it’s extremely rare for us to have a vitamin B5 deficiency, because this vitamin is in many plant and animal foods. But, emphasizing foods particularly rich in B5 (especially shiitake mushrooms) would make a lot of sense. Vitamin B6 refers to a group of six forms of a water-soluble vitamin that cannot be synthesized endogenously, so it must be consumed in our diet. B6 is involved as a cofactor for over 100 enzymes that catalyze essential chemical reactions (sensing a trend amongst the B vitamins?! ). 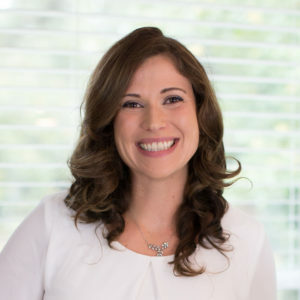 One of the many roles it plays is in fatty acid metabolism, including synthesizing essential fatty acids (which help to control inflammation, making it easier to lose weight!). 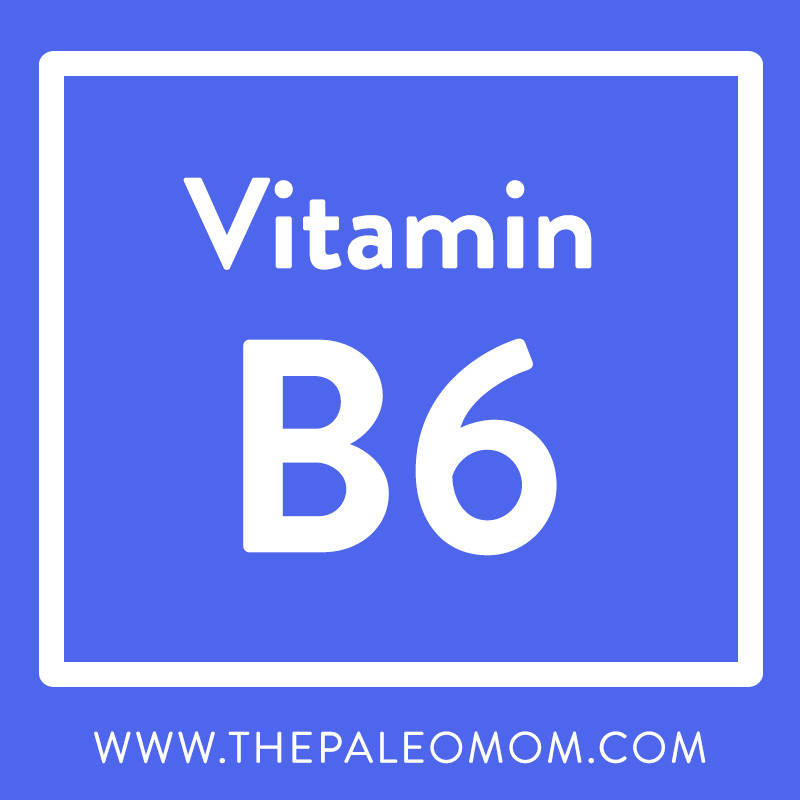 There are many foods in the Paleo template that are high in vitamin B6, including organ meats, freshwater fish, summer squash, banana, pistachios, and blackstrap molasses (one of my favorite Paleo sweeteners! See Blackstrap Molasses: The Sugar You Can Love!). Biotin (also called vitamin H) is generally classified as another B-complex vitamin, even though it has a different kind of name. This vitamin is also essential for metabolism, and humans need exogenous sources of biotin, as we can’t synthesize it our own. Biotin’s main role is as an enzyme cofactor within biochemical pathways, including cellular metabolic pathways such as glycolysis, fatty acid oxidation (the science-y term for “fat burning”), and fatty acid synthesis. Studies have shown that biotin deficiency is related to issues with glucose metabolism, and we know that impaired glucose metabolism is associated with weight gain (i.e., fat gain). Plus, higher intake of biotin is associated with reduced plasma triglycerides, further demonstrating how biotin can be used to alter metabolism in our favor. 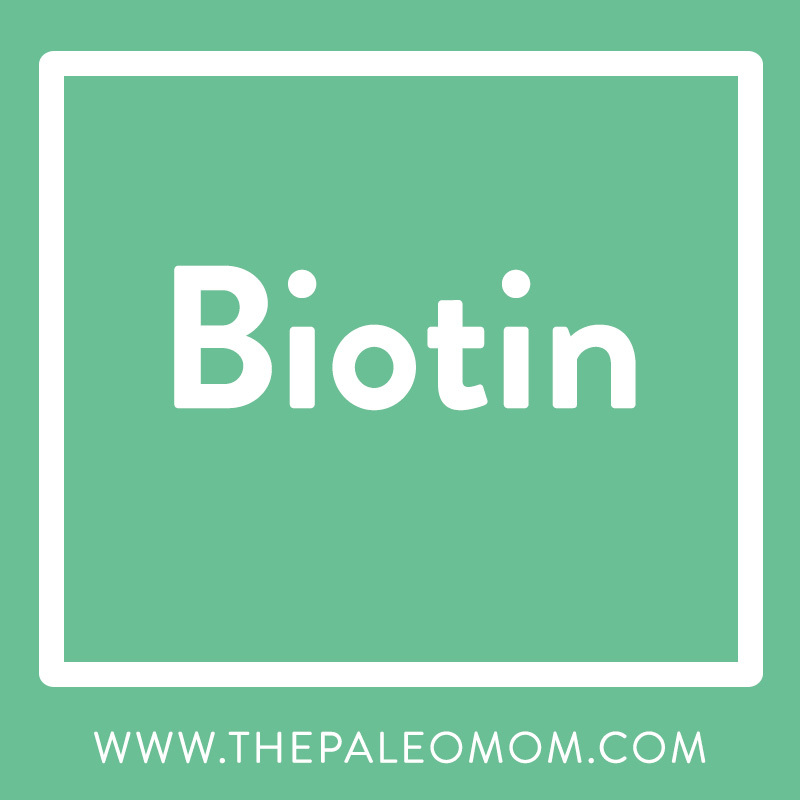 Biotin is easy to acquire from within a Paleo template. The foods highest in biotin include egg yolks, liver, and yeast. Since we need to get biotin from our food, there is chance of deficiency. Conversely, making sure that we get enough biotin is absolutely necessary if we have some fat to burn! CoQ10 (coenzyme Q10) is a non-vitamin micronutrient that is part of the ubiquinone family of compounds. 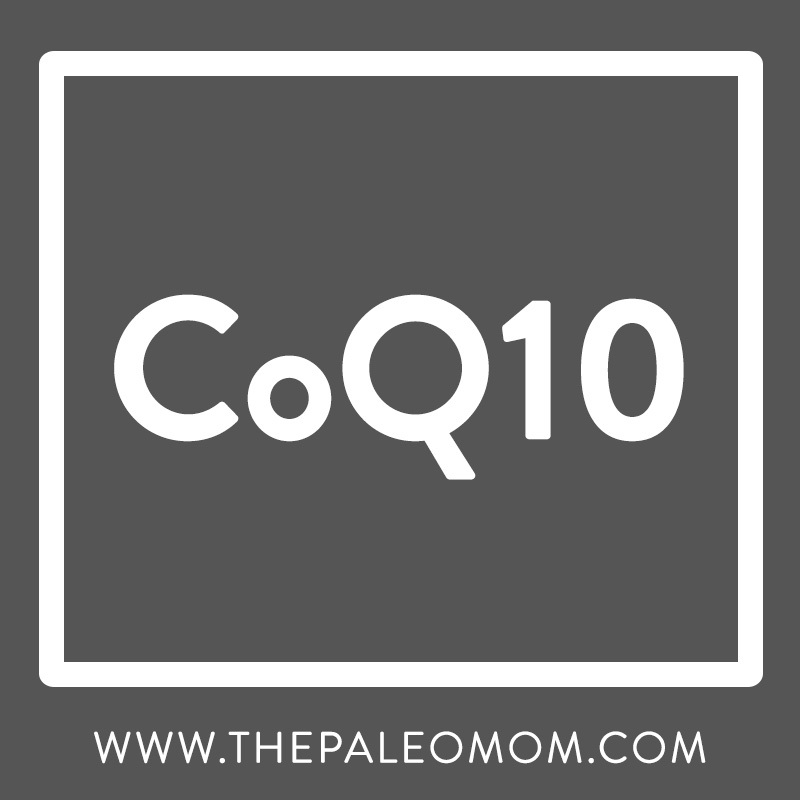 Our livers make the majority if CoQ10 that we need, but there is some benefit to consuming additional CoQ10 either in supplements or in our foods (especially for people on statin medications, which are known to lower blood levels of CoQ10). CoQ10 can be found in the cell membranes of virtually all cells. Its main function is as an electron acceptor – a key part of cellular metabolism. In fact, CoQ10 is known to act within the mitochondrial electron transport chain, facilitating the conversion of glucose and fatty acids into cellular energy. CoQ10 is also a fat soluble antioxidant. Given that fatty acid oxidation (read: weight loss, fat loss, etc.) can generate free radicals (that can damage our DNA, progressing our aging and potentially increasing our chances for disease, like cancer and cardiovascular disease – yikes! ), having some CoQ10 and vitamin E (another fat-soluble antioxidant) around to absorb extra electrons is important. While we don’t know much about clinical levels of deficiency in this cofactor, we do know that impaired energy metabolism is associated with lower serum levels (but we don’t know if this is a causative or correlative relationship; an important distinction for any reader of science!). Organ meat (especially heart) and sardines are very high in CoQ10! 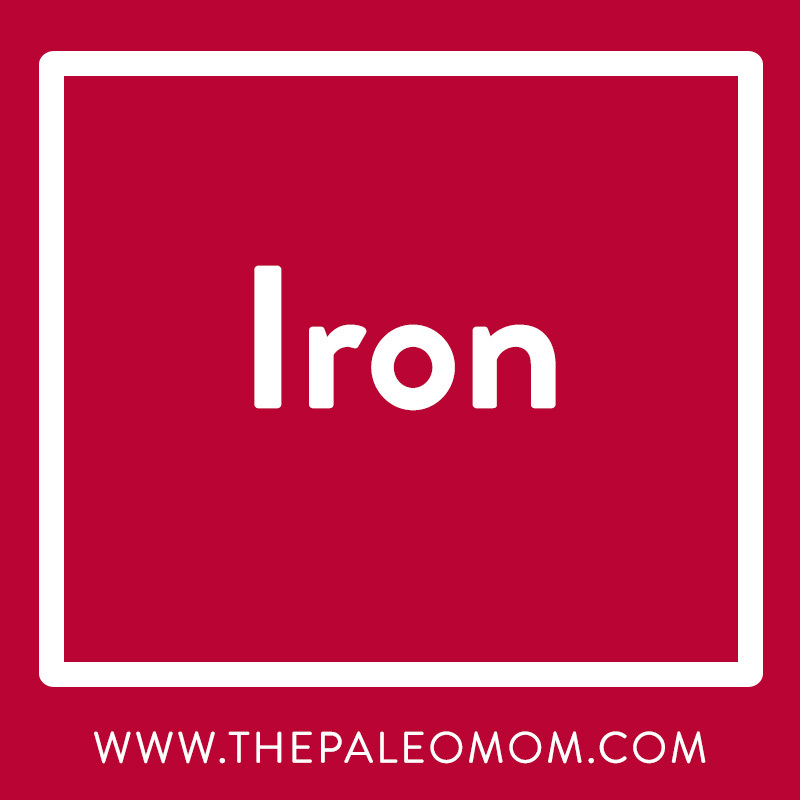 Iron is a well-known dietary mineral that is rich in any Paleo diet that includes red meat (iron is also in some vegetables, though it is not as bioavailable as the iron in animal foods). Iron is perhaps best known for its role in oxygen transport and storage; this metal ion is featured in the center of heme-containing proteins hemoglobin, which is responsible for transporting oxygen through our blood, and myoglobin, which is responsible for the storage of oxygen. We need oxygen to complete the process of cellular metabolism, which requires oxygen to act as an electron acceptor (kinda like CoQ10, but at the end of the chain). Beyond its role in oxygen transport, iron has an even more direct role cellular metabolism: it is featured in the proteins of the electron transport chain itself! These proteins are called cytochromes, and they facilitate of the movement of electrons through the chain. Finally, iron is included as a cofactor in an incredibly important family of enzymes called the cytochrome P450 family, which are proteins in the liver responsible for the metabolism of many molecules, including fatty acids! Basically, having enough iron is super important for metabolism at multiple levels, so it should be on everyone’s list of pro-fat metabolizers. Consuming vitamin C rich foods at the same time as iron-rich foods can help increase absorption! L-carnitine is perhaps the best-known “fat-burner” there is, which is why many people take it in supplement form (though we know that we need it along with other vitamins and minerals, so taking it on its own is less effective). This molecule is another non-vitamin micronutrient (it’s actually a derivative of the amino acid lysine) that we know to be involved in the metabolism of fatty acids. 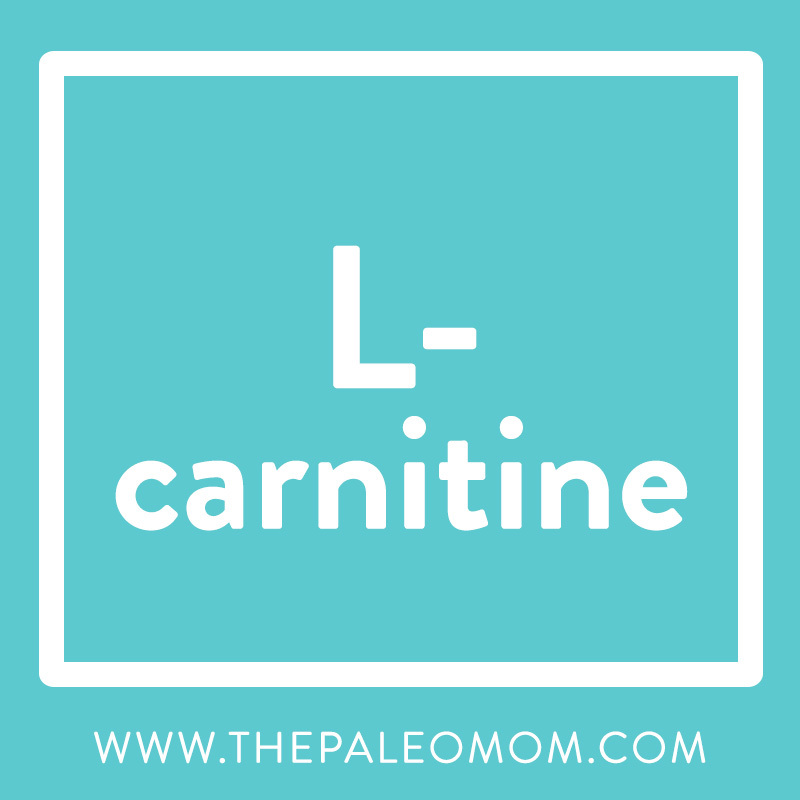 L-carnitine is specifically involved in the oxidation of long-chain fatty acids – this, more than anything else we’ve discussed, is the closest to fat burning that it comes! This amino acid derivative is most concentrated in areas that use fatty acids as their primary fuel, such as skeletal and cardiac (heart) muscle, though it is found in all cells in at least small amounts. The specific action of L-carnitine is that it binds a long chain fatty acid (which is bound to CoA, a derivative of vitamin B5, as we discussed before) so that it can bring it across the outer mitochondrial membrane into the mitochondria. From there, it passes the inner membrane to the mitochondrial matrix, where it is oxidized before entering the other biochemical pathways of cellular metabolism (the citric acid cycle and electron transport chain, specifically). Plus, the addition of L-carnitine is considered the rate-limiting step, meaning that metabolism proceeds at the rate by which L-carnitine is available. Without L-carnitine, we cannot utilize stored fatty acids for energy! It seems that healthy people without metabolic diseases are able to generate enough L-carnitine to meet the cellular demands of everyday life. However, someone hoping to promote the use of fat for fuel may want to make sure that they have more than enough L-carnitine to meet the demands of much fatty acid oxidation! L-carnitine is particularly abundant in red meat. Creatine is a nutrient touted by bodybuilders everywhere for its ability to help in muscle building. But what about fat loss? This one is a little less direct, because there is no specific mechanism for fat metabolism. However, dietary intake of creatine is known to promote muscle building, which increases the metabolic need of our bodies. Basically, muscles need more energy to function (fat cells are super energy-efficient, because their one goal is to STORE energy, not burn it), so building and maintaining more muscle increases our basal metabolic rate and our active metabolic rate. 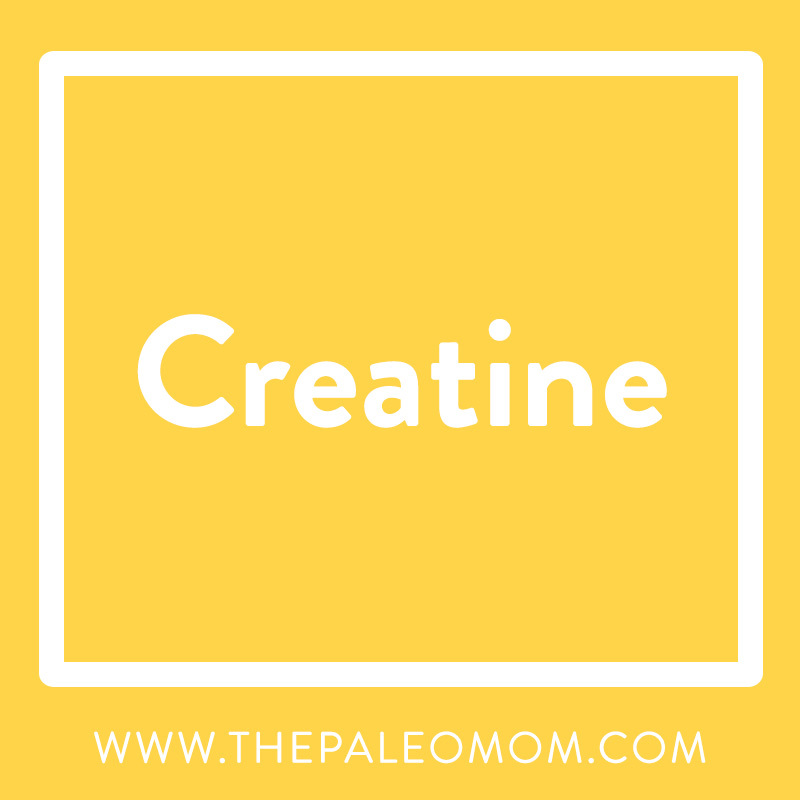 Creatine can be found in meat (including organ meats) and fish, so most people following a Paleo template will be sufficient in this micronutrient. This muscle-booster can also be made from the amino acids glycine and arginine. One of the richest sources of both of these amino acids is collagen, which is a principal ingredient in bone broth and can also be taken supplementally (my preference in Vital Proteins). Bonus nutrient! Vitamin D is a fat-soluble vitamin that is synthesized in the skin upon exposure to sunlight, then metabolized and activated by the liver and kidneys. This amazing vitamin, which also has some hormonal properties, carries out an incredible variety of functions in the body, including regulation of the metabolism (see Fructose and Vitamin D Deficiency: The Perfect Storm? and Why Sun Exposure Is So Important). While scientists are still trying to determine mechanisms, we know that people with excess fat tend to be deficient in vitamin D, and at least one study has shown that supplementation with vitamin D decreased body fat. Foods very rich in vitamin D include fatty fish, liver, and egg yolks – but my favorite way to get vitamin D is with some sunshine! About 75% of Westerners are deficient in vitamin D. Optimal serum vitamin D levels are between 50 and 70 nanograms per milliliter (ng/mL). It’s important to ask a healthcare provider to get tested. 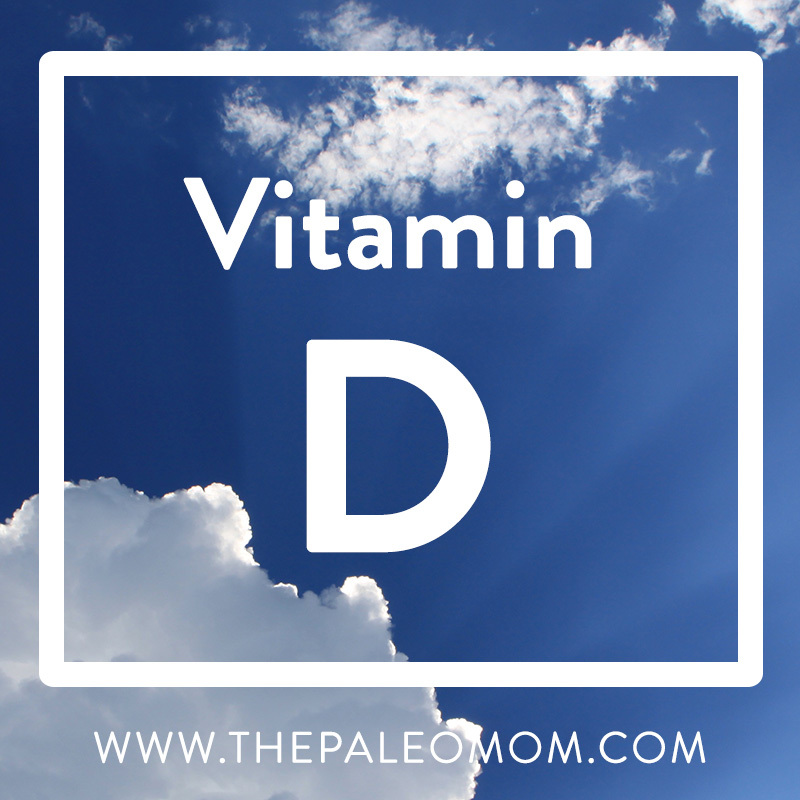 If you’re deficient, it can be tough to get enough vitamin D3 from foods (natural sources include grass-fed and pasture-raised meats and seafood), so consider supplementing with vitamin D3 (5000IU daily is a standard dose to address deficiency) and recheck every three months to make sure you don’t overshoot the mark. Vitamin D levels in excess of 100ng/mL can also cause health problems. These nutrients are just a sample of the incredible breadth of micronutrients that our bodies use to go through the vast number of chemical reactions in our bodies that allow us to function every minute of every day (it’s actually kind of overwhelming, isn’t it?). 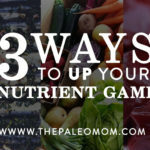 While nutrient density is a fantastic goal within a Paleo template, we know that focusing on the above micronutrients will make it easier for us to burn fat. Baez-Saldana A, Zendejas-Ruiz I, Revilla-Monsalve C, et al. Effects of biotin on pyruvate carboxylase, acetyl-CoA carboxylase, propionyl-CoA carboxylase, and markers for glucose and lipid homeostasis in type 2 diabetic patients and nondiabetic subjects. Am J Clin Nutr. 2004;79(2):238-243. Farmer SR. Molecular determinants of brown adipocyte formation and function. Genes Dev. 2008;22(10):1269-1275. Greenbaum CJ, Kahn SE, Palmer JP. Nicotinamide’s effects on glucose metabolism in subjects at risk for IDDM. Diabetes. 1996;45(11):1631-1634. Heer M, Egert S. Nutrients other than carbohydrates: their effects on glucose homeostasis in humans. Diabetes Metab Res Rev. 2015;31(1):14-35. Henriksen JE, Andersen CB, Hother-Nielsen O, Vaag A, Mortensen SA, Beck-Nielsen H. Impact of ubiquinone (coenzyme Q10) treatment on glycaemic control, insulin requirement and well-being in patients with Type 1 diabetes mellitus. Diabet Med. 1999;16(4):312-318. Hutson SM, Sweatt AJ, Lanoue KF. Branched-chain [corrected] amino acid metabolism: implications for establishing safe intakes. J Nutr. 2005;135(6 Suppl):1557S-1564S. Kiefer FW, Orasanu G, Nallamshetty S, et al. Retinaldehyde dehydrogenase 1 coordinates hepatic gluconeogenesis and lipid metabolism. Endocrinology. 2012;153(7):3089-3099. Kiefer FW, Vernochet C, O’Brien P, et al. Retinaldehyde dehydrogenase 1 regulates a thermogenic program in white adipose tissue. Nat Med. 2012;18(6):918-925. Revilla-Monsalve C, Zendejas-Ruiz I, Islas-Andrade S, et al. Biotin supplementation reduces plasma triacylglycerol and VLDL in type 2 diabetic patients and in nondiabetic subjects with hypertriglyceridemia. Biomed Pharmacother. 2006;60(4):182-185. Rindi G. Thiamin. In: Ziegler EE, Filer LJ, eds. Present Knowledge in Nutrition. 7th ed. Washington D.C.: ILSI Press; 1996:160-166. 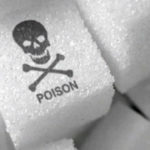 Fructose and Vitamin D Deficiency: The Perfect Storm? 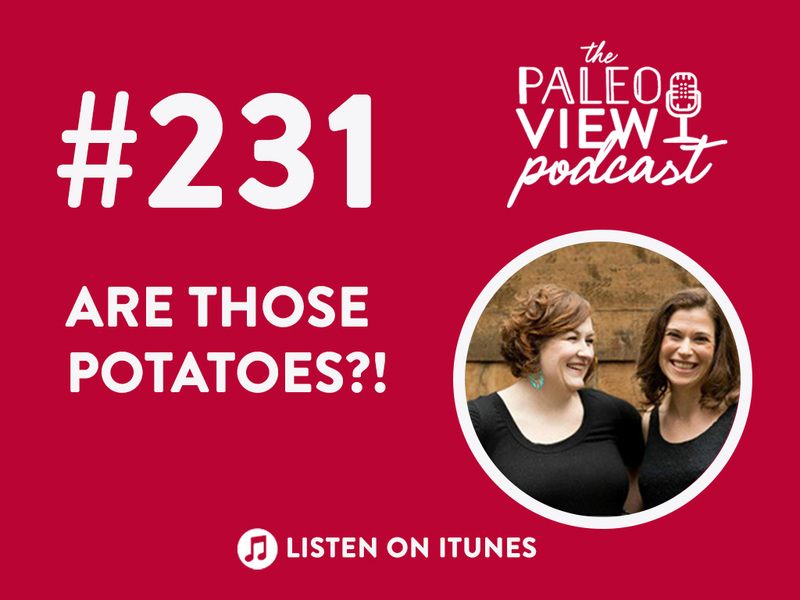 Previous Post: « TPV Podcast Episode 231, Are Those Potatoes?! The new website looks nice and everything, but I used to be able to find articles about specific topics and now I can’t. Yes, I can type it into the search, but sometimes I’m sort of browsing for info and don’t have a key term on the tip of my tongue. I need a list! Lists of topics, list of articles, SOMETHING. I don’t want to scroll through every single post, hoping something will jump out at me! I love, love, LOVE the information here, but now I’m really struggling to find it. Visually, it’s a great site, but I used to send people here to find information and I used to come here for that too. Now it’s a sea of posts. Can there be an index or something???? Please???? What a fantastic, clear list format! The presentation quality in your books, and now this, is absolutely the best. Maybe all list headings should be like this. Inspired. I am on taking most of these supplements because I was very deficient and I have gained at least 10 pounds! Can’t understand why. I have read that some people gain weight taking biotin. Any thoughts? Thanks for this great and informative contribution. Even if I’m from Germany, I follow your contributions very much. Thanks for that! Great informative article. 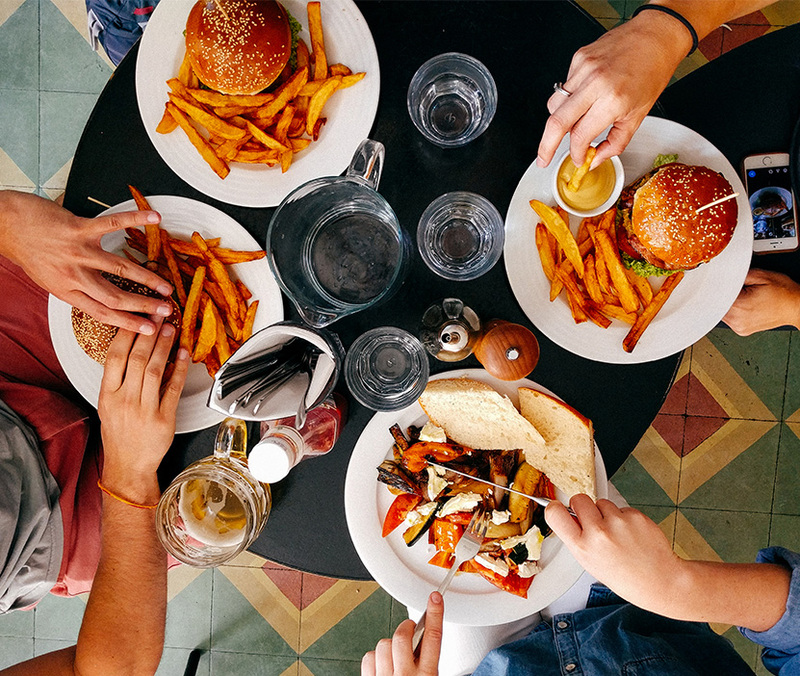 We should be able to digest just about any type of food we put in our mouth. But changes in food processing and preparation not to mention lifestyle mean our stomachs don’t always react well to everything we eat. It’s best to avoid some food—like fatty meats—to avoid upset tummies. 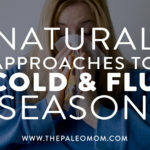 But, fortunately, nature also provides foods that can ease our digestion. I think more prominent utilization of vegetables having more fiber substance is additionally useful for this very reason.